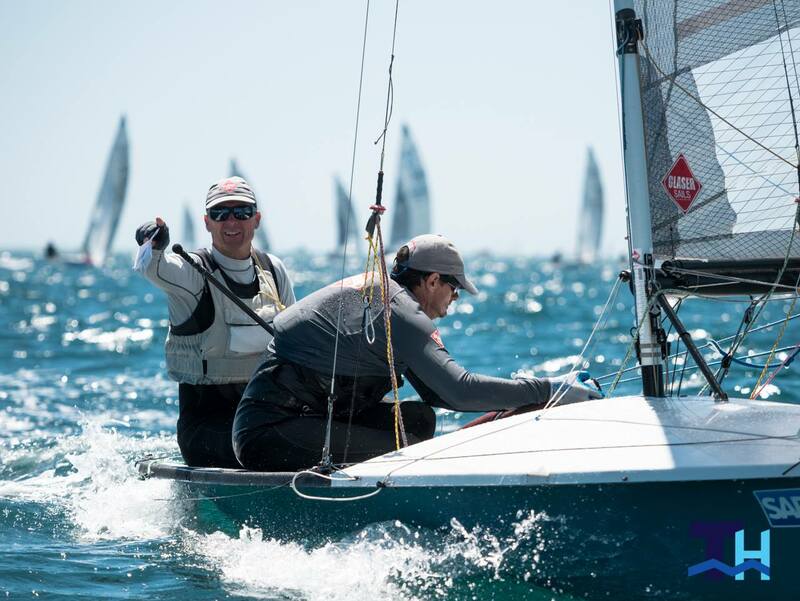 Ninety of the top 505 sailors on the planet came together to enjoy the solid wind and warm water of Fremantle, Australia during the 2019 SAP 505 World Championships. Despite the stacked fleet with Olympic Medalists, America’s Cup sailors and 10 previous World Champions, the Americans stole the show taking four of the top five places on the leaderboard. Taking the 2019 title: now four-time 505 World Champion Mike Martin and now two-time 505 World Champion Adam Lowry. Runner-up was the team of two-time previous World Champions Mike Holt from Santa Cruz, CA and Carl Smit from Annapolis, MD. Finishing off the podium was the team of Parker Shinn and Eric Anderson, both from San Francisco. The California “Team Tuesday” formula seems to be working. Winners Martin and Lowry and 3th place overall finishers Shinn and Anderson are training partners out of the St. Francis Yacht Club. Fifth overall finishers Howard Hamlin of Long Beach and Jeff Nelson of Truckee and seventh place finisher Reeve Dunne (sailing with skipper Ian Pinnell) is also part of the program. For previous World Champion Hamlin, this event was his 40th Worlds as a competitor. Team Tuesday was founded by Martin and Hamlin in support of the American 505 class. 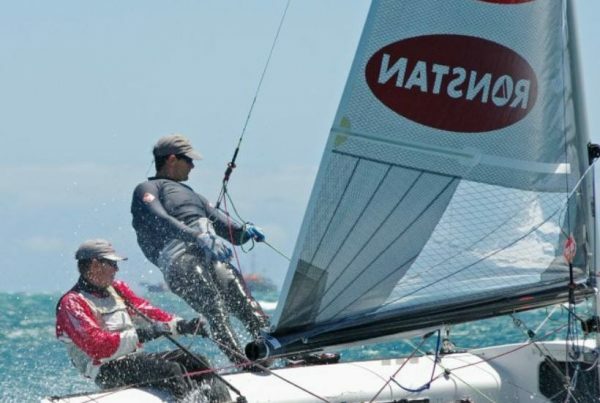 Its goal is to help accelerate the preparation, learning, and development of its participants as they prepare for nationals and world titles in the 505, and has included coaching support from Jay and Pease Glaser of Glaser Sails (three of the this year’s top four competitors used Glaser Sails). Since its inception, it’s produced 4 world champions who have won a combined 8 world championships. Held January 2 -7, 2019, the 10-race series started each day at 11:00 am with a moderate but building breeze, which made certain that the following race or races would be in proper “Fremantle Doctor” conditions. Martin and Lowry started off the event with a 10th place finish in race 1, but then put together an impressive set of scores including a 2,1,1 on day three while other top competitors had finished up and down the scoreboard. According to Lowry, another key to their success in an event that saw its share of capsizes and carnage was being breakdown-free, which they credit to their partner Ronstan Sailing. However, in race 7, there was a bit of drama when Martin and Lowry’s centerboard broke at its mounting hole. Somehow, they managed to keep the board in place by wedging a paddle in the centerboard case and still managed to pull out a keeper with a 4th place finish. Then in a real show of sportsmanship, Shinn and Anderson (sitting in 3rd overall) offered to lend their spare centerboard, and Holt and Smit (sitting in second overall) sent their coach Rich Mundell in to get the board onshore.